June | 2014 | Hotel Ascona Events & News : Hotel RENEWED ! JazzAscona is the place to be for jazz fans! Specialized in classic jazz and the music of NewOrleans, the festival attracts a knowledgeable and enthusiastic audience from all over the world who appreciates the richness of the program, the special productions put on for the occasion, the close contact with the musicians, the relaxed atmosphere, and the spectacular scenery offered by the mountains and the Lake Maggiore, a beautiful background to the lakeshore concerts packed with people. 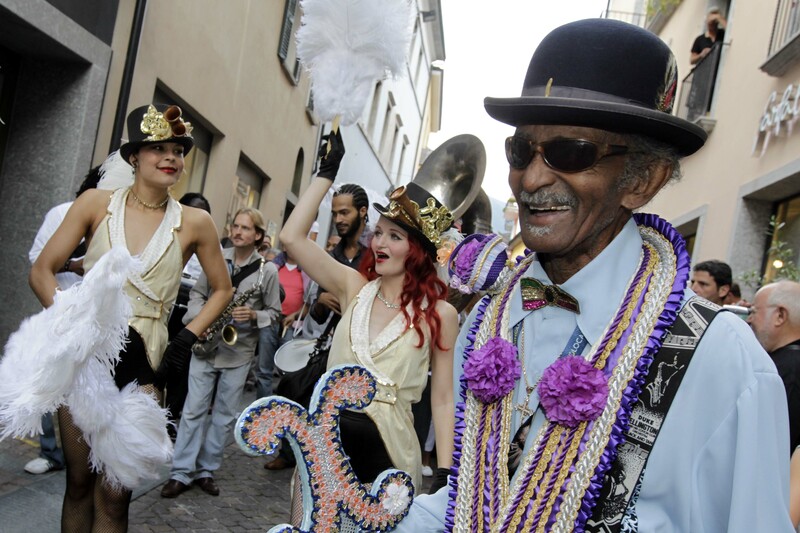 The festival offers an outstanding variety of styles that range from early New Orleans jazz to Chicago style jazz; from swing to mainstream, including blues, gospel, R&B and funk. The festival program consists of about twenty concerts each day, held in bars, restaurants and on the five official festival stages. Ascona is a small town with a pedestrian lakeside and historical town center and one can reach each corner in a few minutes on foot. Concerts in bars and restaurants start at 11 am and continue in the afternoon and evening. Concerts on the five main stages are held between 8 pm and about 1.30 am. Jam Sessions start at midnight. The last bus to Locarno will leave at the end of the official concerts, at 1.28 am. New since 2013 edition: completely free of charge access to the weekday concerts, with the exception of the five “Ascona Specials” ones to which admission will be granted only with ticket (available on pre-sale over www.ticketcorner.ch). During the weekend the access to the whole festival area will be at a set price of CHF 20.00. Die Preise verstehen sich pro Person/Tag, HP, für einen Mindenstensaufenthalt von 5 Nächte. Tourismustaxen von Chf 3.-/Person/Tag nicht inbegriffen. Prices are per person/night included half-board for a minimum stay of 5 days. Tourismus taxes of Chf 3.-/person/day not included.